Heritage School Excels At National Level Essay Competition. 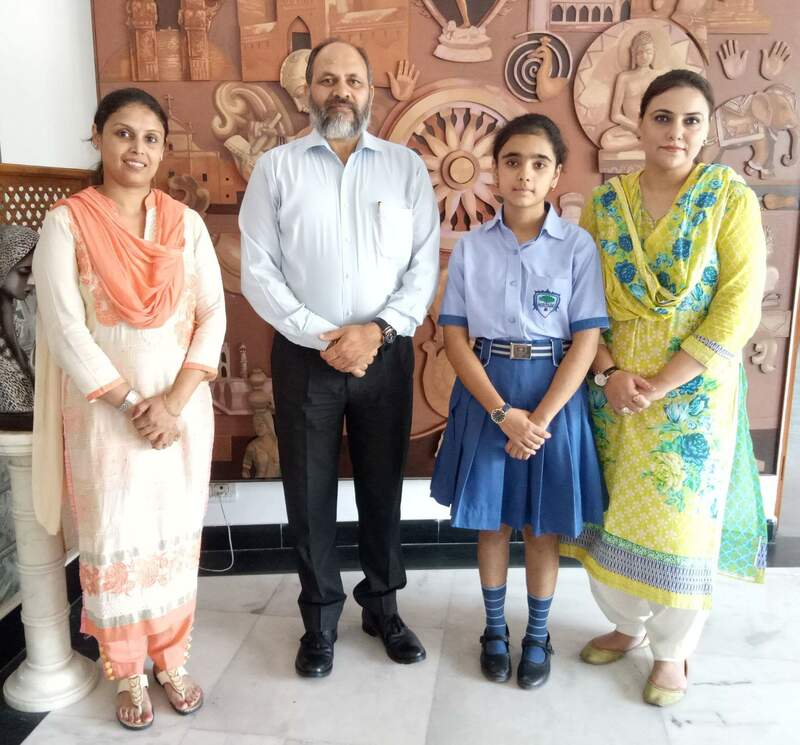 Mehak Verma , a student of class X of Heritage school has brought laurels to the school by making it into the scroll of top 30 finalists in the 5th Nanhi Chhaan national school essay writing contest -2018. About 250 schools pan-India participated in the contest. Pertinent to mention that Nanhi Chhaan ‘nanhi soch –bade vichar’ is a non-profit organisation that aims at partnership across the globe that brings together various stakeholders. It has its presence in 24 states of India. Some of its luminous patrons include King Jigme Khesar Namgyel His Magesty , the King of Bhutan, Mr Kapil Sibal, Mrs Rekha Purie, Dr Prannoy Roy. Mehak expressed her poignant views on the topic ‘Women Empowerment –will the society benefit?’ She now competes in Chennai for the top –slot in the finals on the 18th and 19th of this month. Mehak has philanthropic plans to utilise the prize money to support the cause of education of the underprivileged children. The school management and her teacher mentors wish her a grand success at the mega finals.